How Can I Make My Home Easier to Sell? Home > Selling a Home > How Can I Make My Home Easier to Sell? Selling your house can be a stressful experience. In today's market with high house prices it can often be difficult to find a buyer. The market is even more turbulent at the moment following the affects of the US credit crunch. With many mortgage lenders increasing their rates it is getting more difficult for borrowers to get a mortgage so the number of potential buyers in the market could be dropping. Therefore you need to make sure your house is as desirable as possible to keep you on top of the competition. The first thing to do is make sure your property has no outstanding repairs that need seeing to. You cannot have viewers coming to see your house when there are damp problems or structural issues that need seeing to. Commissioning a Home Condition Report is a good way of making sure your home is in tip top condition. Once the report is completed you will know exactly what needs rectifying before your allow potential buyers to come and view your house. Often there are problems in the property you wouldn't be aware of. A HCR can alert you to these and give you the chance to put them right. Also, make sure your property is aesthetically pleasing. While structural problems are the most important once these are fixed you can concentrate on making your property looks good. Think about the front of your house. Is the garden clean and tidy? Is the front of your house clean? 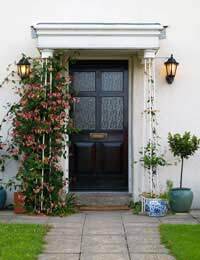 Do the windows of the house look nice from the outside.Remember the outside is the first thing potential buyers will see and first impressions count. It may sound silly but smells are also important. If your house smells of pets for example then it's likely to out potential buyers off before they've even had a chance to look around. When you know you are selling your property prepare for it. Make sure the house doesn't smell of pets or pungent foods. Finally make sure the house is tidy. Buyers do not want to see your personal belongings around the house. They want to see it as a blank canvas that they can make their own so remove anything too personal. Of course if everyone has got their house is tip top condition then you need to offer something else to give you the edge over fellow sellers. The government claim the HCR can do this but another way of attracting attention is approving the energy efficiency of your home. Energy efficiency is the issue of the moment. Making your house as energy efficient as possible before putting your house on the market could just give you that edge when it comes to selling. Upgrading your boiler to a condensing type gas boiler is one way to improve your energy performance efficiency grade (A is the highest while G is the lowest). Similarly insulating your loft can improve your rating. Competition is heating up as the market struggles so making your house as sellable as possible is the key to getting a quick sale. What are my Rights when Selling a Home? What I need to do when Selling a Home?